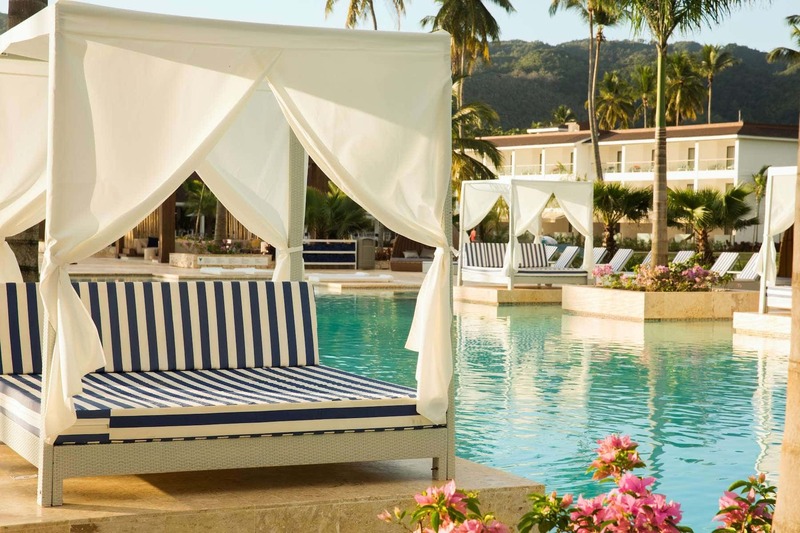 Viva Wyndham V Samana is an all-inclusive, adults-only resort located in Samana, on the island’s northeast coast. The resort features a private beach, free WiFi, restaurant, and pool area with cabanas. Fly into Samanà El Catey International Airport, Dominican Republic (AZS). The resort is about 25 minutes from the airport. Visit Viva Wyndham V Samana’s website for more information.